This one makes us so happy. Reina Mercado is a catracha (native of Honduras) who arrived to the U.S. undocumented in the early 90s. Following the destruction wrought by Hurricane Mitch in October 1998, the Attorney General designated Temporary Protected Status (TPS) for Hondurans on January 5, 1999 and Reina was eligible for it. The government may designate a country for TPS when there is a catastrophic situation in that country, such as war or natural disasters, that makes it inhumane to remove individuals to that country at that time. 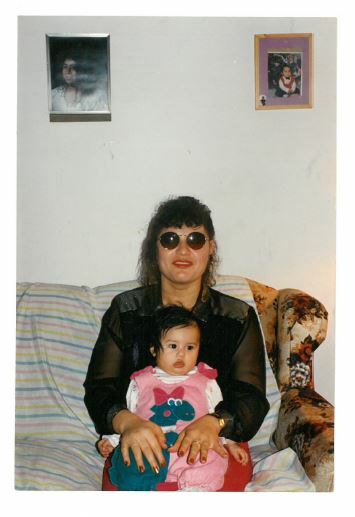 Reina was able to travel with an advance parole through her TPS and when one of her U.S. citizen daughters turned 21 (the child on the photo), Reina applied for permanent residence in the U.S., which was approved today. For over two decades living in the U.S., Reina has worked to her core to provide for her four children. She is a single mother working two jobs – cleaning at a local hospital in Northern, VA and washing dishes at a local restaurant. Her work days are long, but she says, “Tengo que ser fuerte y trabajar duro por mis hijas.” “I have to be strong and work hard for my children.” We are overjoyed for Reina and her girls, who no longer have to live under the fear of the current administration ending TPS. There is a lot of speculation that the current administration will end TPS for Honduran citizens, revoking the protection and work authorization that many have relied upon for years. Reina is representative of many Central American immigrants who have TPS and who can adjust to permanent residency. We encourage everyone with TPS to call us for a consultation 202 644 8600 to see if you are eligible for permanent residency in the U.S.